The next update for Sea of Thieves, the pirate-themed cooperative multiplayer game from Rare, is just over the horizon. It’ll be a larger-than-normal release but one that greatly reduces the game’s overall installation size and preps it for future patches. Joe Neate, the game’s executive producer, said in a recent blog post that the installation size on Xbox One will go from 35GB down to just 10GB. On Xbox One X, the file size will drop to 25GB from 47GB and on PC, it is going from 47GB to 27GB. Neate said the changes might make future patch sizes slightly larger but the game install size won’t increase significantly. Had the team not made the change, the install size would continue to grow and take up more hard drive space. Perhaps the only negative aspect of the change is the fact that you’ll have to download and fully reinstall the game when the update drops. Neate didn’t mention any content additions or changes meaning this update is likely limited to the file size change only. 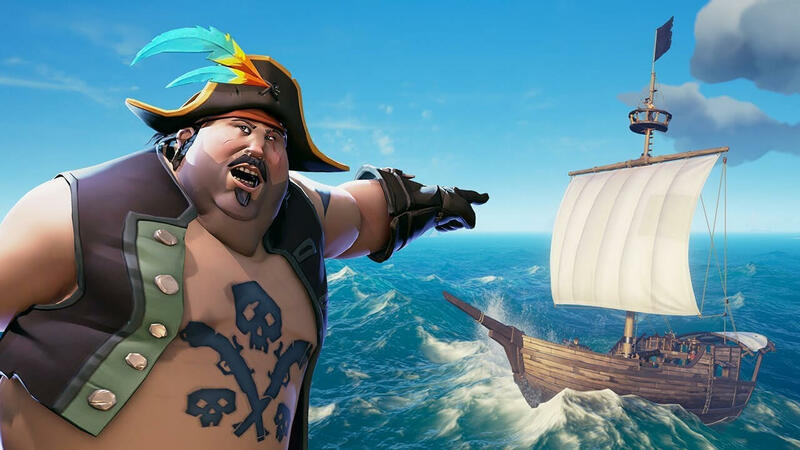 The slimmed down Sea of Thieves update launches across all platforms on February 6. I wonder what they did to shrink it. I know cleaning up code can help, but for games I'd imagine it would be graphics and models taking up most of the space. They probably cut the games story in thirds and will sell the other 2/3rds of the content as an expansion. Nobina and ZackL04 like this. This is actually pretty good. If other game makers followed I wouldn't have to buy a separate hard drive for each game. Code generally doesn't take up much space for games, unless it's engine/component code cleanup (but that's still not much). I'm betting they implemented better compression for textures and/or audio. Those are usually the 2 biggest areas when building a game. Interested in knowing how and at what cost. I could only guess their game map extended an insane amount of space beyond its borders. But hell idk lol. I played the hell out of disneys pirate game years back, it's a fun genre but iv been there and done that. Sadly two-thirds of 0 story is still 0. So in order to get it out the door by the deadline, we had under-optimized code and assets. Upon realizing how ridiculously huge the game was for what it offered, they do this to look better?